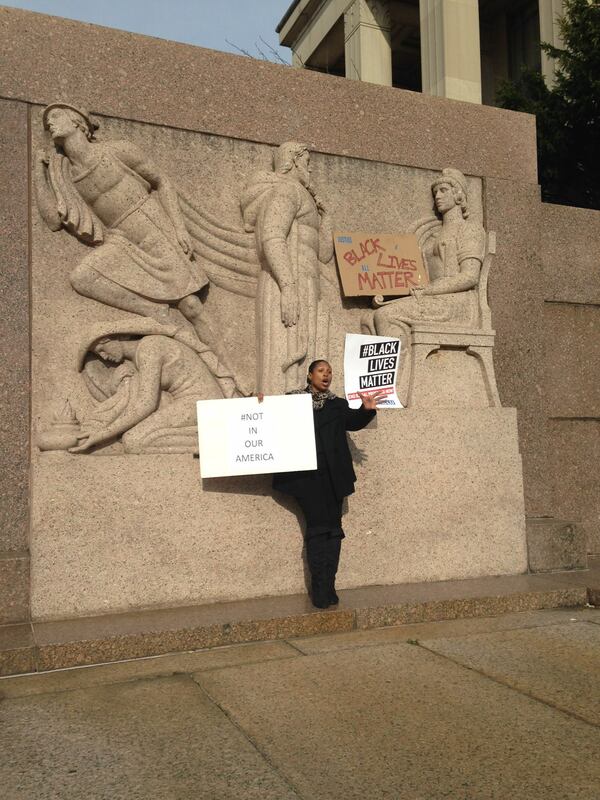 A woman stands in Judiciary Square at the endpoint of the Justice for All March in Washington, DC. That’s the term I see often now. It attempts an objective tone, a tone I tried to evoke with my classes following our first discussions of Ferguson and my recent post. I wanted to shine a light on this issue dwelling in our minds. As I light the Hanukkah candles this week, I’m reminded how every light casts shadows. I have opinions and bias. And more observations. I want to follow up on those now. 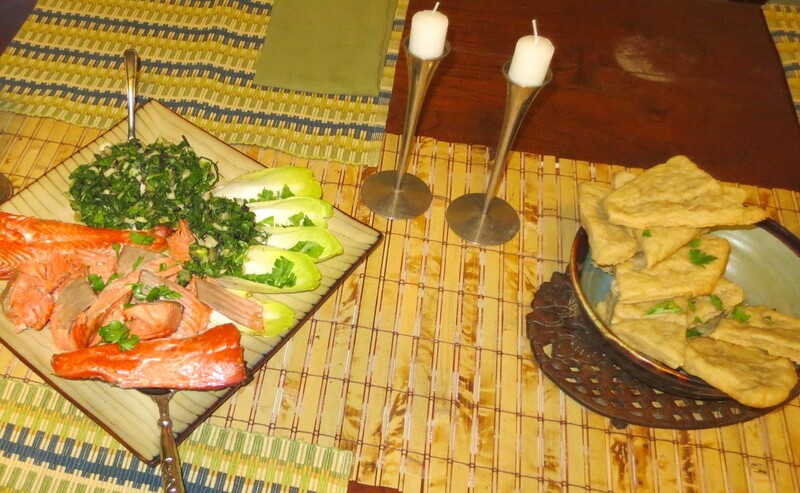 The table is set for an online chat about food and maybe even my own recipes and writing on Wednesday, April 9. Pictured here are Karaite-style matzah and a green take on maror. I’m pleased to announce that on Wednesday, April 9, I’ll be a guest on the Free Range on Food chat with The Washington Post. This weekly online Q & A features WaPo food editors and staff writers, as well as the occasional freelancer like myself. An article I wrote about Passover will appear in the newspaper that same day. Readers can tune into the chat from noon to about 1 to ask about food, drink, and maybe even my piece. Check out past Free Range sessions if you’re curious about what they look like. See you there Wednesday at noon! 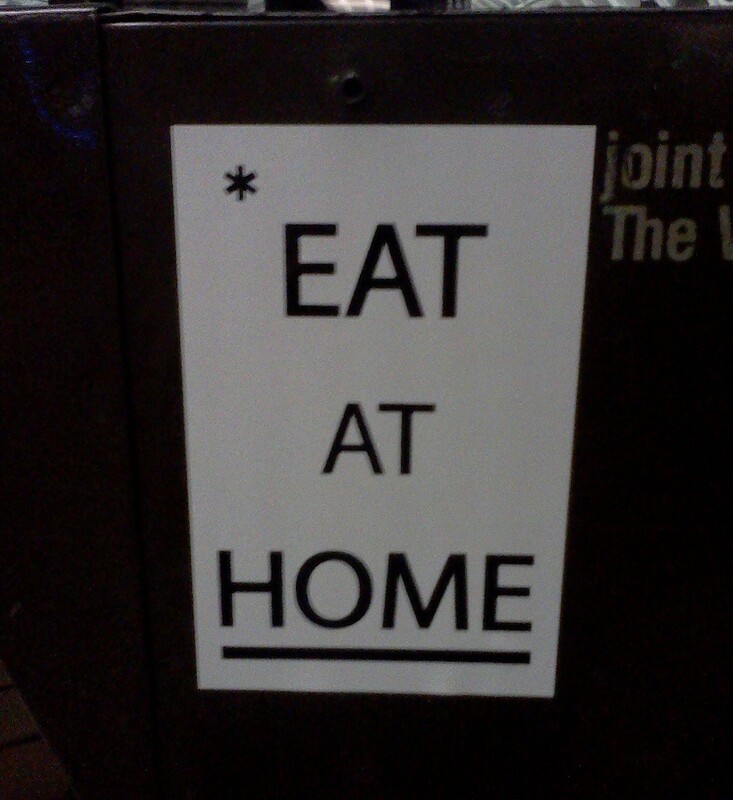 A sign at a D.C. Metro station tells me what to do. By Rhea. …that’s the title of my final post in a series at The Jew and the Carrot. It sounds dramatic, but to be honest I wasn’t crawling to the finish line. Yes, it surprised me, too! This post includes a few locavore-friendly micro recipes, a look at sustainable food campaigns and apps, and a whole bunch of gratitude. Check out “How I survived eating in for an entire month” for the whole story. Four speakers. Two Jewish foods. One magical night. D.C.-area Jews, foodies, and lovers of hilarious arguments, this one’s for you. 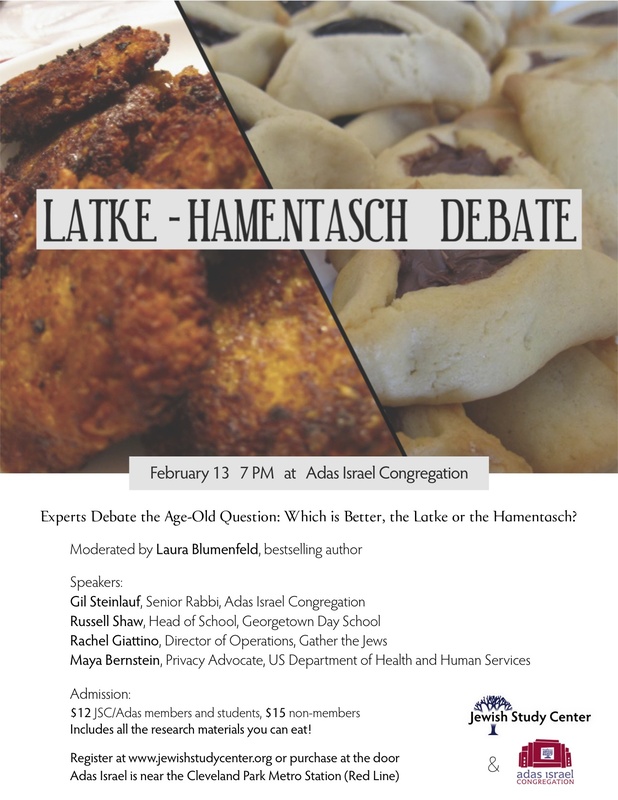 Experience the Latke-Hamentasch Debate and nosh on “research materials” Wednesday, February 13 at 7 p.m. at Adas Israel (Cleveland Park Metro – Red Line). There will be ASL interpretation! Click to enlarge the flier and read more. My second post on my 31 days of eating in is up at The Jew and the Carrot. Check it out.